Thankfully at Inclusion WA we are comfortable with never standing still. While our philosophy is built around constantly striving for improvement, we are also operating in an environment that is ever changing, and on a daily basis it sometimes seems. On coming to power, the new Labor State Government paused previous government commitment to operating a WA NDIS. It may still go down that path but, whatever they decide, hopefully a lot more people living with disability will be involved with the consultation. The McGowan Government have also folded the Disability Services Commission into a large Department for Communities as part of their public service re-structure. We have created some change of our own, by creating a new business, as you will see below, which has created a fantastic opportunity for our Community Development team to expand the scope of their work and continue to help build an inclusive Western Australian community. We’re also looking to expand our geographical reach over the coming year, so more change is likely. However more information about that will be available in the coming months. For now enjoy our latest updates. 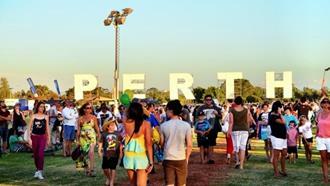 Community Corner invites you to check out current events in your local community across Perth. From work opportunities in mental health, to english conversation clubs, markets and gaming for all, there really is a wide array of events happening to cater all interests. Sophie has found her social niche in the heart of Perth's sweetest high tea spots. Hosting her very own Meetup group has meant she can reflect the diversity of all her personal interests and compile them into a lifestyle she can manage on her own. As of the 2017-18 financial year, there are some exciting changes for Inclusion WA’s Sport and Community Development Team! For the past 12 months, the Board together with our staff, have been working hard behind the scenes to develop a new organisation – Inclusion Solutions. 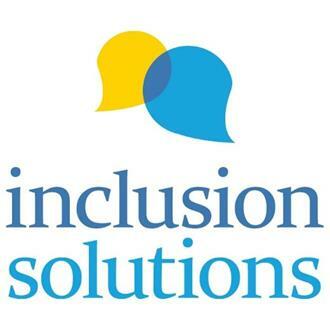 Inclusion Solutions will be a sister-organisation of Inclusion WA, and will continue to carry out the same great work throughout Western Australia. Why the change I hear you ask? Over recent years, the scope of the Sport and Community Development Team has broadened and evolved and as such, the team has been working with a greater cross-section of the community. To allow the team the opportunity to focus on new areas of growth and be flexible in adapting to the ever-changing needs of WA communities, the need for a separate entity was seen as a priority and Inclusion Solutions has been developed. For more information, please visit our website and/or our Facebook page and look out for exciting news related to our staff and the projects we are working on in following editions of the newsletter! The Youth Disability Advocacy Network (YDAN) committee is a young group of passionate volunteers living with disability who aim to advocate on behalf of their peers. From accessibility requirements around Perth to disability rights and organising events around Perth that help bring like-minded people together as a community. 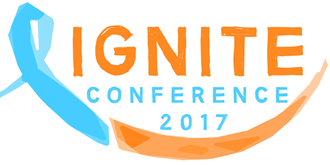 The 2017IGNITE conference intends to empower young people living with disability, by collating information from service providers, advocacy organisations and community groups - and get this, it's all run by young people living with disabilities (YPWD). 1. To provide a space for young people with disabilities (YPWD) to have a stage to express their concerns about anything pertinent to YPWD. 2. Give young people with disabilities an opportunity to present their projects, research, organisations, achievements/accomplishments. 3. Create a space for issues to be discussed, with people with disabilities being the ones to drive the discussion - industry professions, government officials etc. Will be the external advisors. 4. Provide an avenue for external providers/industry partners/vendors etc. to pitch their products/services for the niche clientele. 5. Facilitate an avenue for innovative YPWD to pitch their ideas and potentially develop their idea into a commercial business through entrepreneurial means. Holly has dedicated her services to the disability sector for 6.5 years and 1.5 of them, to Inclusion WA. She poetically voices her past, passions for current projects and hopes for the future.